"I am sorry to hear about Rod's passing. I worked with him..."
"I was honored to work with Rod at FDLE in the 70's and..."
"Rod Caswell was a gentleman and a true professional. I was..."
"Nancy, my condolences to you and your family. 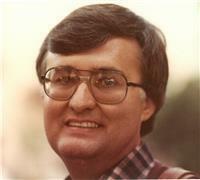 Rodney, a..."
George Rodney "Rod" Caswell, 70, of Tallahassee died Saturday, December 2nd, at Big Bend Hospice. A native of Freeport Florida, he came to Tallahassee in 1967 from Marianna. Rod began his 34-year career with the Florida Department of Law Enforcement as a Special Agent. Over his time with FDLE, he was the head of many divisions and retired as a Division Director in 2004. Rod's passion was his family and friends. He loved spending as much time with them as he could. He enjoyed watching Game Day with his boys and was an avid Florida State Football fan. Other than being at home with his family, he enjoyed spending time at his home away from home, Crystal Lake in Chipley, Florida where he particularly enjoyed celebrating the Fourth of July with his wife, sons, grandkids and extended family. Survivors include his wife of 49 years, Nancy McCall; children: Lee (Kellie) of Tallahassee, Luke (Helen) of Chipley; and grandchildren: Courtney and Taylor Grace, both of Tallahassee. A memorial celebration was Friday, December 8th at Culley's MeadowWood Funeral Chapel, 1737 Riggins Road, Tallahassee, Florida 32308.